Skittish at the thought of divided loyalties leading rival pot initiatives to defeat, two major marijuana legalization groups united behind the well-funded effort associated with Silicon Valley heavyweight Sean Parker. His initiative, which counts Lt. Gov. Gavin Newsom among its supporters, brought on the Coalition for Cannabis Policy Reform. “Coalition board member Antonio Gonzalez, who is also president of the Latino Voters League, said the coalition withdrew its rival initiative after Parker’s measure was modified to protect children, workers and small businesses,” Reuters reported. In another victory for the Newsom-Parker proposal, some of California’s so-called “legacy activists,” among California’s early major medical marijuana players, threw their support behind the effort. “The members include Richard Lee, the founder of Oaksterdam University in Oakland and proponent of 2010’s unsuccessful Proposition 19 legalization effort; Neill Franklin, executive director of Law Enforcement Against Prohibition; Stacia Cosner, deputy director for Students for Sensible Drug Policy; Nate Bradley, executive director of the California Cannabis Industry Association; and David Bronner of Dr. Bronner’s Magic Soaps, a top-selling brand of natural soaps,” noted the Sacramento Bee. Activists have nursed concerns that big corporate interests, backed by regulators, could swoop in and squeeze them out of the medical pot industry. “[G]rowers and marketers on the pot-rich North Coast are waiting to see how much the massive regulatory structure will cost them and whether to stick instead with the prosperous but risky outlaw status they have lived with for nearly two decades,” as the Press Democrat recently observed. The prospect of statewide legalization has also accelerated the push in some municipalities for fresh local restrictions. Input has been sought from law enforcement in states where marijuana decriminalization has already had time to take effect. 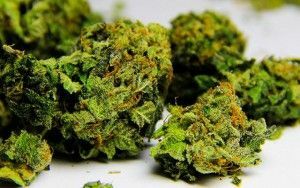 After a recent visit to Colorado, where “law-enforcement groups such as the Rocky Mountain High Intensity Drug Trafficking Area continue to portray the situation in sky-is-falling terms,” officials from the City of Indio drew up an ordinance, ready for a vote in January, that would ban medical marijuana cultivation, according to Westword. “While medical marijuana has been legal in California since 1996, not every city allows cultivation and/or dispensaries that would sell it,” as the Desert Sun noted. At the same time, officials have begun eyeing new technology that would enable law enforcement to crack down on impaired driving. In conjunction with UC Berkeley researchers, Oakland outfit Hound Labs has begun work on a breathalyzer that detects marijuana, according to Inquisitr. “Initially the new handheld marijuana breathalyzer device will be tested by law enforcement agencies in the San Francisco Bay area and Lynn says depending on the results, will eventually be used across the country,” the site noted.